If you have read the article on perspective, then you will realize that the amount of time that Europeans have been in Australia is miniscule compared to the time that indigenous people have. About 250 years versus 40,000 years – 0.00625% of the time to be exact. The changes that Europeans have caused in that miniscule time have been massive. This huge continent has been fundamentally changed for ever and it’s not sustainable. Indigenous people have evolved separately longer than any other culture. This focused evolution has generated a unique ability to connect with the land and the spirit world. This ability must be continued. 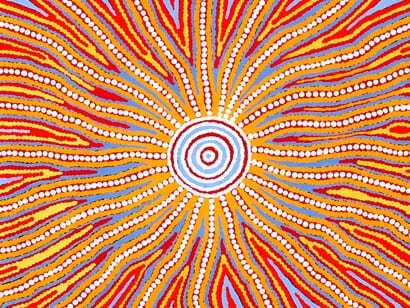 It’s one that I am very keen to learn more about – I just need to find some knowledgeable indigenous friends. The history must also be taught from a fair and balanced perspective. That is the only way that the children will learn from our mistakes. The truth is that the British invaded this continent, killed most of the inhabitants and made the rest suffer by forcing them to live a way that they had not evolved to life. The British then created laws of the land that forbade killing and the stealing of land – now that the British were in control of course. This was a formula that the British used against indigenous persons in a number of places. The past cannot be changed but we must acknowledge the truth, learn from our mistakes and focus on the positive future. There is always a way forward.